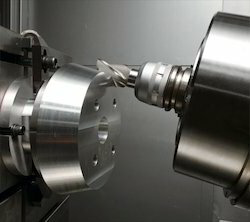 Precise High Speed Spindle Service Centre Pvt. Ltd. Being a quality driven company, we offer our precious clients the premium quality range of Glass Lined Spindle. We are manufacturing and supplying all types of spindles for spinning and doubling machines. We Manufacture Supply Quality Spindles Suitable For All Sort Of Parts For Filament TFO. We have wide range of Spindles For i.e. Murata TFO's, Barmag TFO's, Dewon TFO's, Ratti TFO's, RPR TFO's, Tsudakoma TFO's. We also can manufacture Supply TFO Spindles as per customer's requirements.